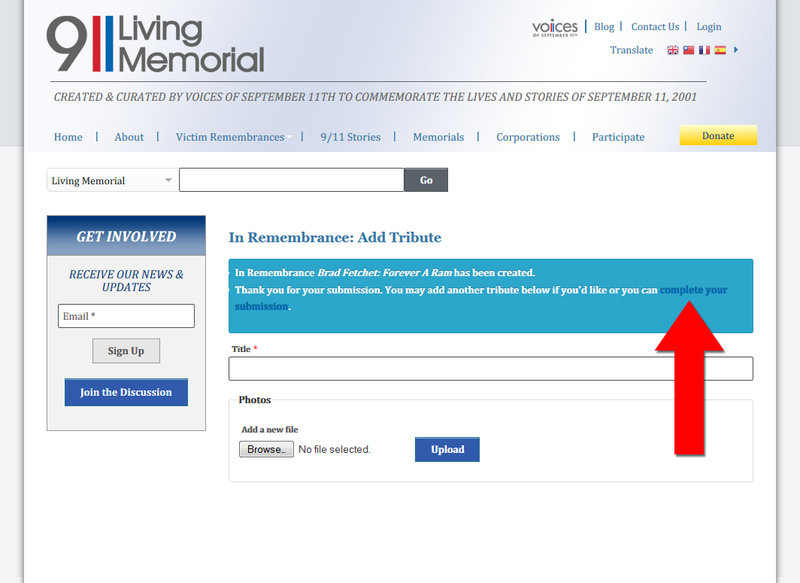 Use these instructions to contribute to the Living Memorial Project. 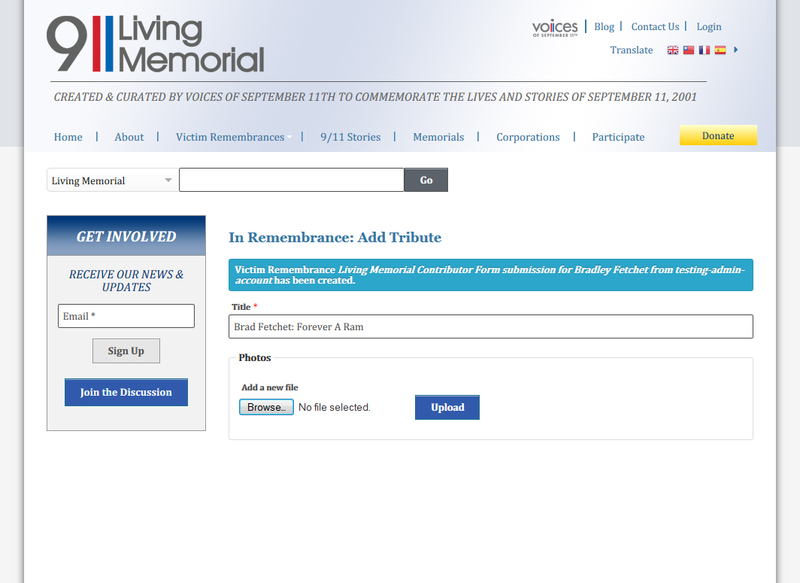 Registration is required to submit content in behalf of a victim of 9/11. Content will only be posted on the Living Memorial website upon verification of identity (via phone and website registration). 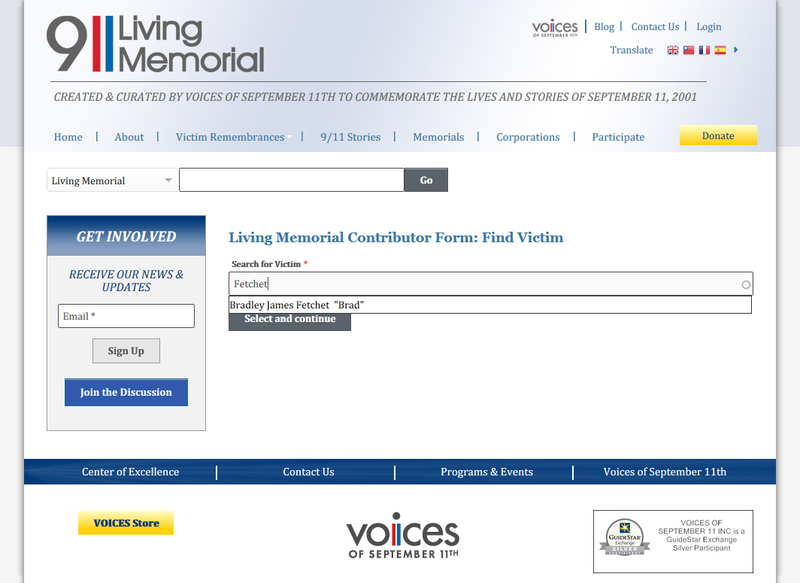 To register for the Living Memorial Project, click here. 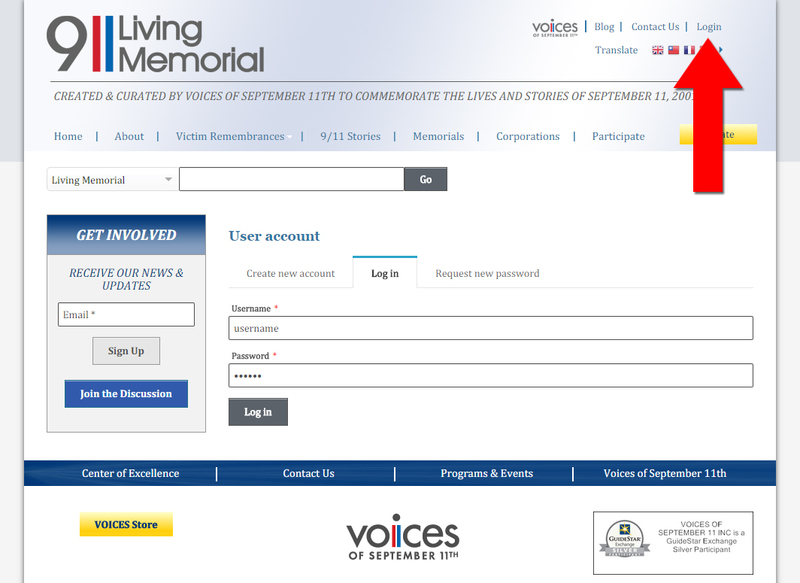 Create an account and log into into the Living Memorial. Search for victim by name, and select from list of results. Click "Select and continue" after selecting the correct name. 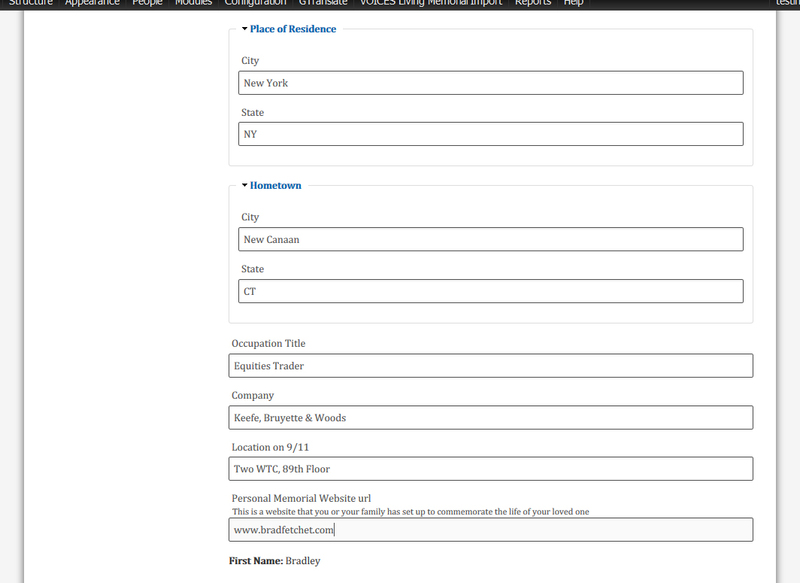 Read and accept terms and conditions, and select if/how you would like your images shared with the 9/11 Museum. 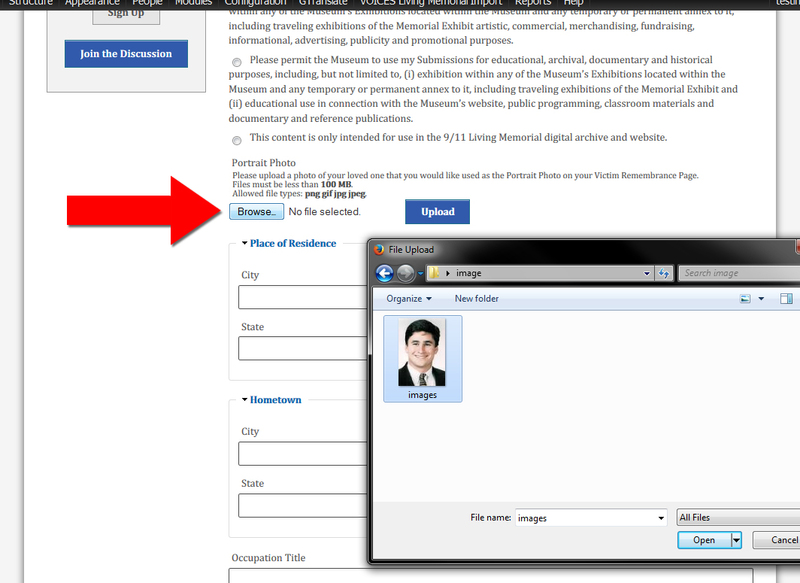 Upload a portrait photo (optional) to use as a main photo. To do this, select the browse button to choose your image. The VOICES staff will resize, crop and upload this portrait photo to replace the current portrait photo on the Living Memorial website. 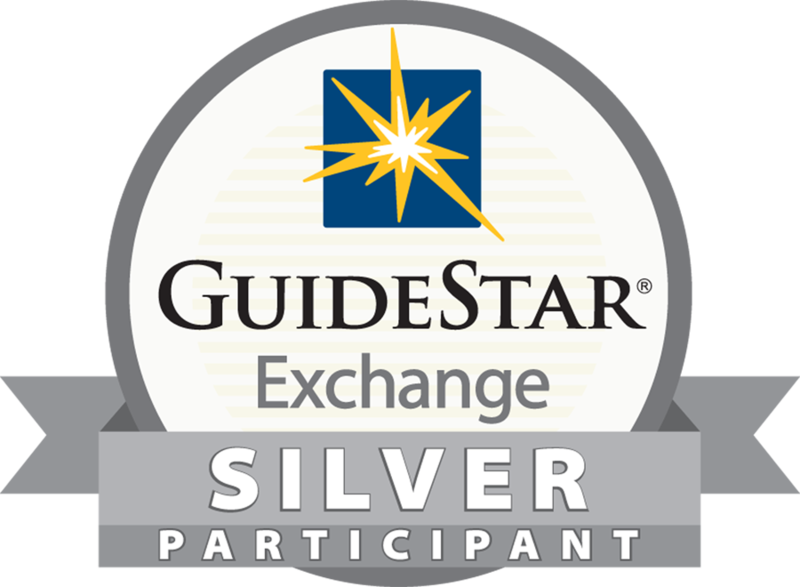 Fill out as much information as possible, then select "Submit and continue." 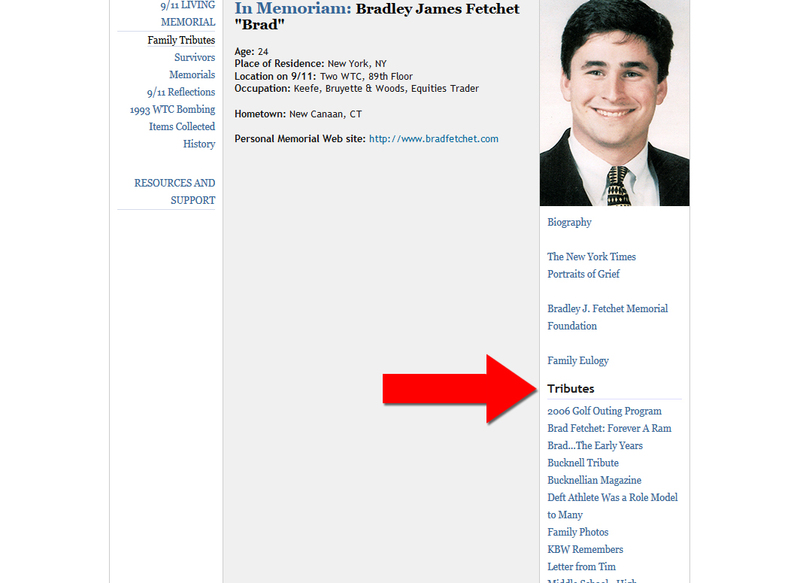 Add a name to your Tribute and click browse to choose the images you wish to upload. Once all images are selected, click on the upload button to submit your images. You can add more tributes as explained in the previous two steps or you can complete your contribution to the Living Memorial.To complete your contribution, select "complete your submission" in the light blue box. Images contributed to the 9/11 Living Memorial through our website must be processed through the Living Memorial digital archive before posting live to a Living Memorial Remembrance page. Voices of September 11th is a non-profit organization and content will be processed as time permits. 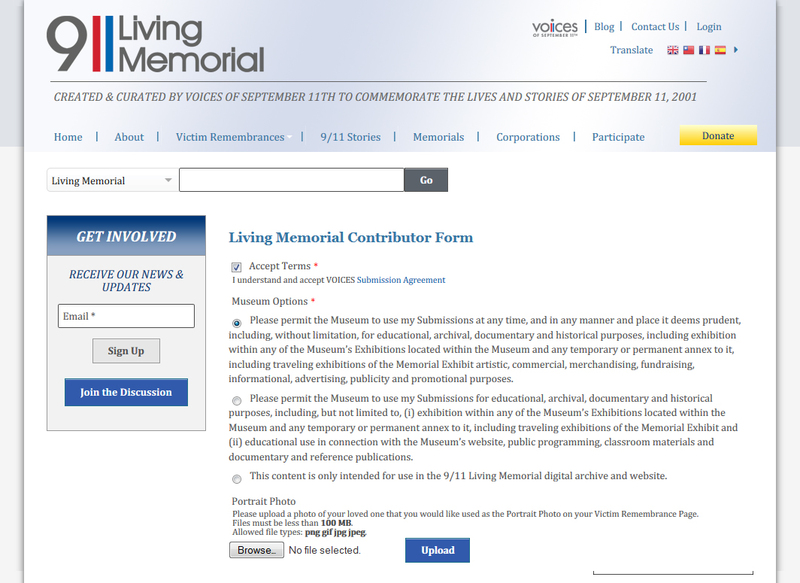 If you have any questions on how to contribute images to the Living Memorial or would like to know the status of your submitted content, feel free to contact us.